Our reputation for unsurpassed customer service is supported by boasting a strong inventory of the products you require to keep your operation running smoothly. 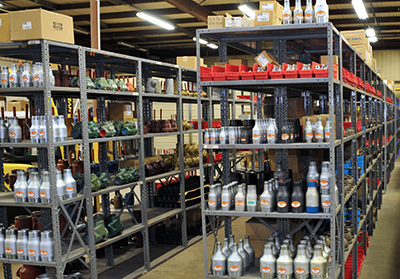 M&M Supply stocks more than 40,000 items - from pipe, valves, and fittings to all the accessories needed to make your job easier. M&M Supply operates from 13 convenient locations, each maintaining a healthy inventory. Our partnerships with the most respected manufacturers in their respective fields gives us the edge and ability to serve as a one-stop source for all your needs. M&M represents hundreds of manufacturers and wholesale distributors. M&M Supply Co. furnishes products and materials from over 1000 manufacturers and vendors located across the United States and around the world. ©Copyright 1999-2019, M&M Supply Co.